So, what exactly are the benefits of hiring professional cleaners? 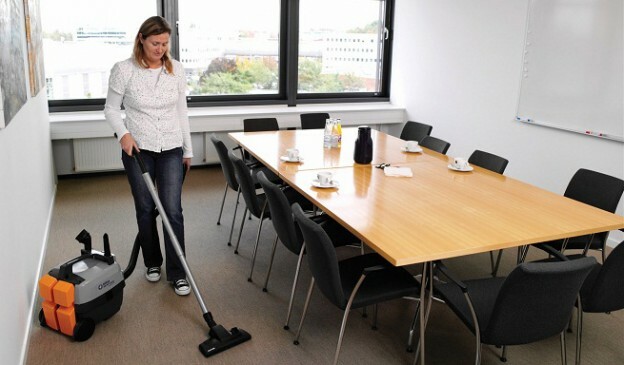 Firstly, the cleaning of your business premises is a job that needs to be done properly. A cleaning company will carry out thorough, hygienic and attentive work. The overall appearance of a business is crucial for making a good, lasting impression on clients, as people may be put off entering your office or starting a collaboration with you if your business is not clean. While you may be tempted to cut out the cost of cleaning service and delegate the duties to your staff or even carry them out for yourself, come the end of a long day you could have an overworked group and tired looking team members pulling a mop across the floor. All good cleaning companies should be able to work around your hours of business, making sure that your property is in an optimum condition when you come to open up in the morning. It’s better to allow the professionals to get to work, and you can put your feet up! Not only are dirty floors and surfaces off-putting, they also pose a health risk to your employees. Keeping your staff free from illness is vital for running an efficient business, and the chance of infection spreading is greatly increased when regular cleaning is not in effect. Rather than having to front the initial outlay required to purchase cleaning equipment, most professional cleaning companies will have their own. This means that your office space can be cleaned using top quality machinery and products without you having to buy them upfront. Contact us for more information about the office cleaning services we offer in Birmingham.